After earning his CPA license and working in public accounting, Dr. Herring decided a career change was needed. Dr. Herring pursued his Doctor of Optometry degree at Southern College of Optometry in Memphis, TN. 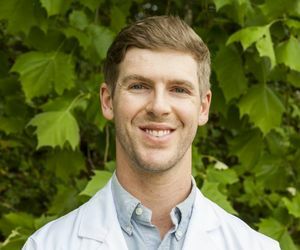 As a student at SCO, he served as a Student Ambassador, National AOSA Advocacy Liaison, Student Government Association Treasurer and President of the Mississippi Optometric Student Association. Upon graduation, he was nominated by SCO faculty to be included in the 2016-2017 Who’s Who Among American College Students. His memberships included American Optometric Association, Mississippi Optometric Association, and the Northeast Optometric Society. A lifelong Bulldog fan, Dr. Herring is proud to serve as a vision consultant for Mississippi State University Athletics. Dr. Herring and his wife Danley, a Registered Nurse, are members of First Baptist Church and are actively involved in the Starkville Community.